Turkey said on Monday its F-16 jets had at the weekend intercepted a Russian fighter plane which violated Turkish air space near the Syrian border, forcing the aircraft to turn back. Turkey summoned the Russian ambassador in Ankara to the foreign ministry and "strongly protested" the violation, the Turkish foreign ministry said in a statement. It demanded that "any such violation not be repeated," otherwise Russia "will be responsible for any undesired incident that may occur." The Russian jet infringed Turkish airspace at 12:08 pm (0908 GMT) on Saturday south of the Yayladagi region in Turkey's southern Hatay province, according to the foreign ministry. 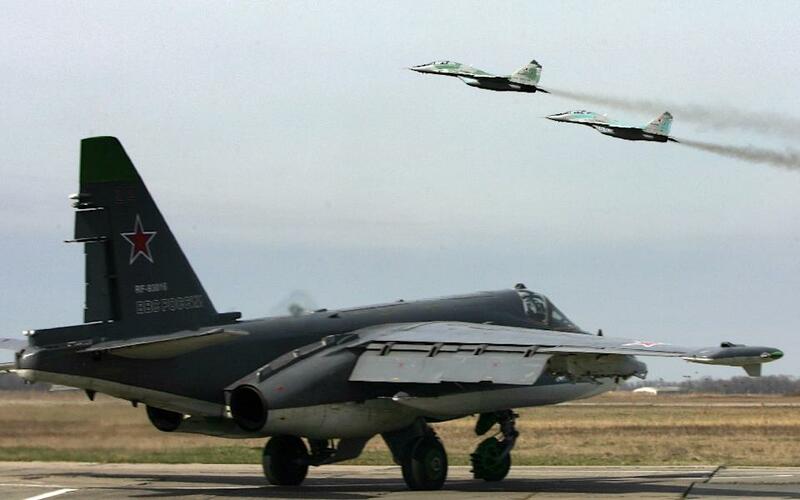 "The Russian aircraft exited Turkish airspace into Syria after it was intercepted by two F-16s from the Turkish Air Force, which were conducting patrols in the region," it added. Turkish Foreign Minister Feridun Sinirlioglu called his Russian counterpart, Sergei Lavrov to convey Ankara's unease, the statement said. He also made telephone conversations with counterparts from NATO allies, as well as NATO chief Jens Stoltenberg, the ministry said. Russia and Turkey have long been at odds over the crisis in Syria, with Moscow emerging as Syrian President Bashar al-Assad's key international backer and Ankara urging his ouster as the only solution to the conflict. Turkey has labelled Russia's bombing campaign in Syria as "unacceptable" with President Recep Tayyip Erdogan warning that Moscow was making a "grave mistake." Russia's strikes in Syria began just a week after Erdogan visited Moscow to meet President Vladimir Putin and attend the opening of a new mosque. Erdogan on Saturday urged Putin to reconsider Moscow's bombing campaign, accusing the Russian military of turning a blind eye to the killing of dozens of civilians. Britain's ambassador to Ankara Richard Moore said Russia's incursion into Turkish airspace was "reckless and worrying." "UK, and its other NATO Allies, stand shoulder to shoulder with Turkey," he wrote on Twitter.